As a trio, the Swiss BucherSommerFriedli have surveyed their field very precisely. All fringe areas of modern jazz including the urge to go out into the open and unknown have been mapped here with a lot of love for landscape details. The pianist and keyboarder Stefan Aeby has now enhanced the expedition into a quartet as a new member. "Where is Now?" 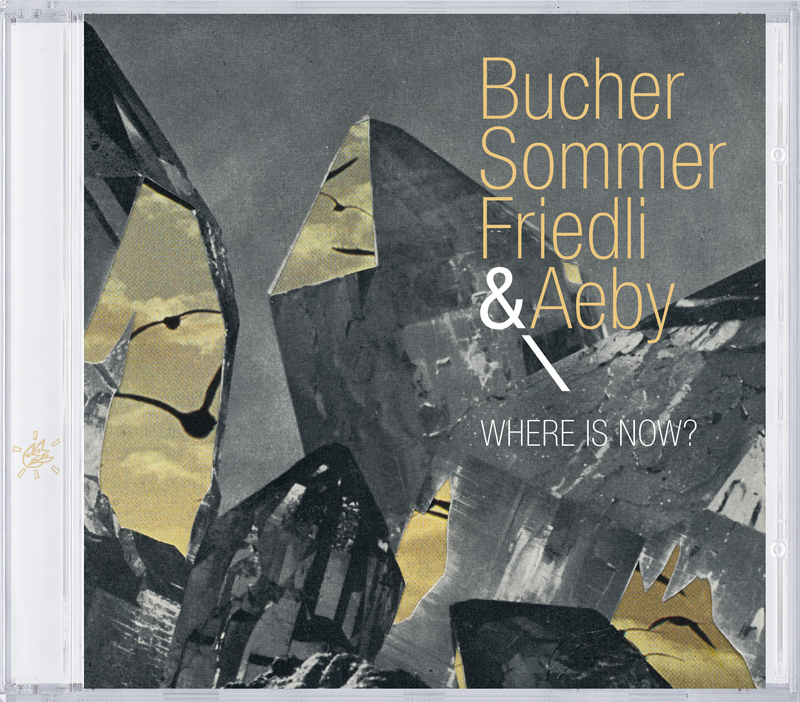 the quartet BucherSommerFriedli and Aeby asks with their new CD and answers with an intoxicating trip into another world. They arrange filigreed structures, conjure up castles in the air, and meander single-mindedly but without haste through wondrous spheres. The band considers itself a collective and functions like intricate clockwork. With guitar, kalimba and harmonica, Michael Bucher wins over listeners for his vanilla-padded dream world. Patrick Sommer on contrabass and e-bass and Tobias Friedli on drums and percussion instruments interact intuitively and supply the resilient dynamics for improvisation without net and cushioned groundwork. Stefan Aeby on piano and Fender Rhodes creates color from black & white keys. They're a well-coordinated group of friends, certainly, and they are aware of their skills. Their field is marked out, but what a field! Reminiscences of the films of David Lynch come to mind, you see Dali dancing, and the roguish cleverness of this ensemble shines through again and again – and that is exactly where their strengths are. Something is created via the music, which fuses the fragmentation of the moment carefully back together again. Something that you see when listening. You feel when thinking. Something that is very special, but still such a matter of course. ""The music is filled with wonderful tiny ornaments, which may show up after a few times listening and you never ask yourself ‘Where is now?‘ It’s here, at this moment and I love it!""